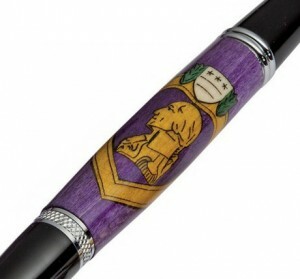 King Pens is a custom handmade pen company located in Houston, TX. 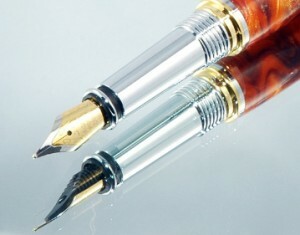 We specialize in fine writing instruments made from exotic woods and acrylics. 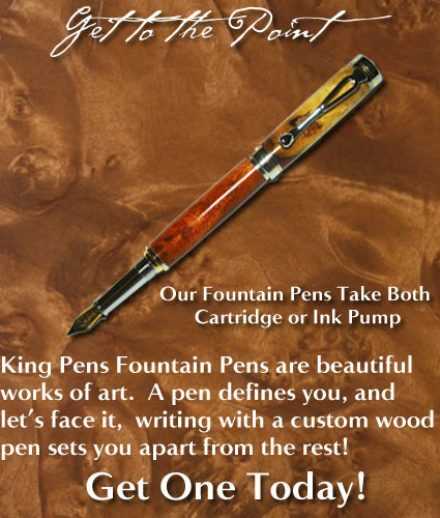 When you own a King Pen, you are holding the highest quality hand made pen you can own. Backed by King Pens 1-Year warranty, we firmly stand behind every product we make and it shows! The woods we use are handpicked, museum quality pieces. We strive to only deliver the very best to our customers. 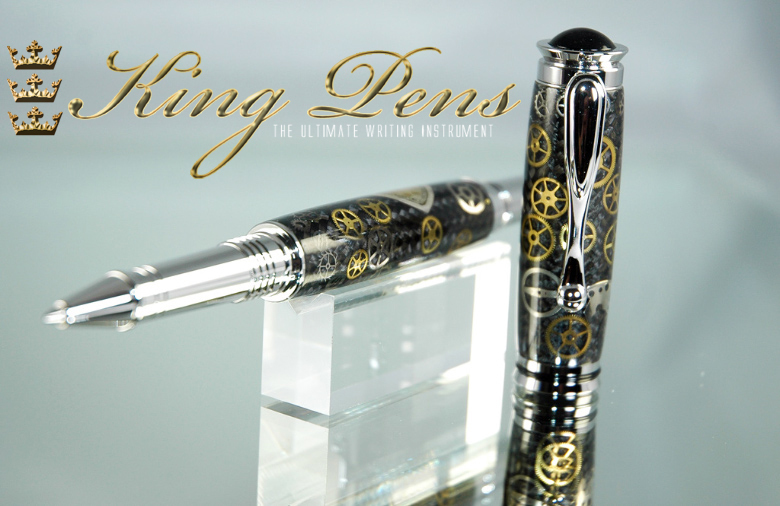 Whether you are seeking a ballpoint, roller ball, or fountain pen, King pens delivers a stunning work of art to you! We offer customized pens as well with no additional charge. We want our customers to stay with us for decades and our product shows it every day! Each pen you see on this site is a one of a kind pen. If you see one that is sold out, we can make another one, but it will not be the one pictured. Once these pens are sold, they’re gone forever. Click here to view our selection of fine rollerball pens. Click here to view our selection of fine ballpoint pens. 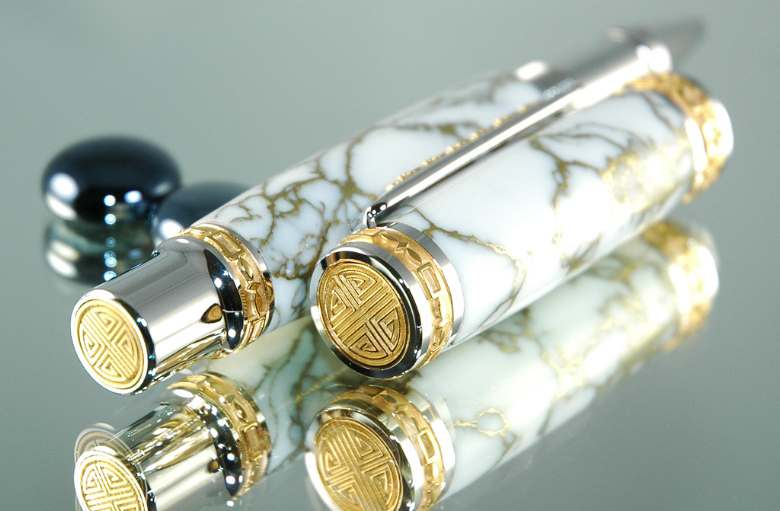 Click here to view our selection of fine Fountain pens. Our philosophy is simple: design and create fine handmade pens from the finest materials on Earth at a reasonable price. This is exactly what we follow. We view our pens as works of art you can carry and use daily. Each pen is meticulously handcrafted with no expense spared. We know you can go to your local office supply store and pick up a pack of pens that will work just fine, but having a King Pen is making a statement about you. It shows you have pride in your penmanship and an affinity for the finer things in life. We sign our name to things all the time, but wouldn’t it be nice if you were buying a car or a house or landing that big business deal to pull out a pen that isn’t a disposable to commemorate the moment? Even the President of the United States signs with numerous pens when signing a bill into law. No document in history worth signing was signed with a disposable pen! First impressions count. That is why the type of pen that you use reflects upon you. My handmade pens are made to the highest standards, and are works of art. Each one is guaranteed to make a great impression on you and those around you. Make an impact by giving a custom pen as a gift for that special occasion. I have fast (FREE) shipping (USPS Priority Mail) and great customer service. Start collecting King Pens! Many times when I make a pen, they are going to be one-of-a-kind instruments that will not be made again due to the unique nature of the exotic woods I use to make them. The pens you see listed here are the exact pen you will receive, so if you like one, you might want to pick it up before someone else buys your pen! I look for unique and interesting woods when I am creating a pen and I try to find stuff no one else will get. 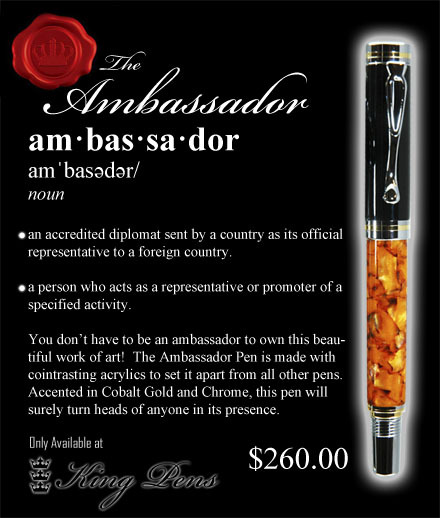 Start your collection today and become a King Pen Collector! In addition, I have some pens which are very limited edition and once they are gone, no more will be in production. This gives you exclusivity to various pens that are created by King Pens. Each of my pens are made in America in my shop. 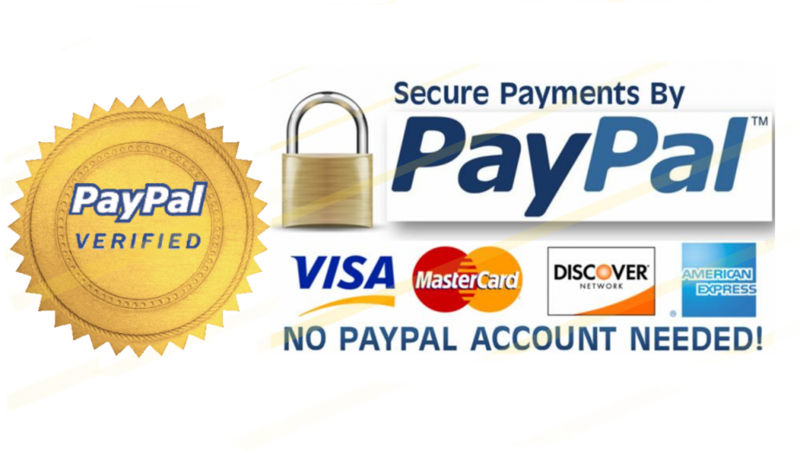 I don’t outsource any production and all of my products are made by me. Each pen is made from the best materials from around the world. Whether it is an exotic wood or acrylic, you can rest assured that I have carefully hand selected the materials to ensure you a quality product. My exotic wood pens are of the highest quality and each blank is hand selected to insure the best look for my pens. I finish each pen by hand, with multiple layers of hand-rubbed finish to ensure a deep, rich finish that will last for years of continuous use. All of my pens are hand assembled and hand polished for a showroom finish. We carry a large selection of handcrafted Ballpoint, Rollerball and Fountain pens. We are certain that you will find a style of pen that you will like or a pen that you can give for any occasion.